I loved to read books when I was younger, I would read on such a regular basis. Lately, I barely get an opportunity to read at all. When I do read, it is mostly helpful books, like the one I am in the process of reading now. I had to return the copy I had and I am waiting for enough money to buy a new copy for myself. This book is a must read for every parent. It has taught me a lot about myself, not just my kids. It also applies to all kids. 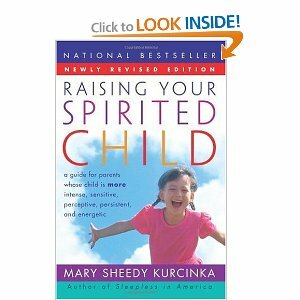 I know that as a parent I am striving to raise my kids without breaking their spirit. I want my kids to be different and stand out in the crowd. This book is a great source of knowledge and advice on how to do just that.